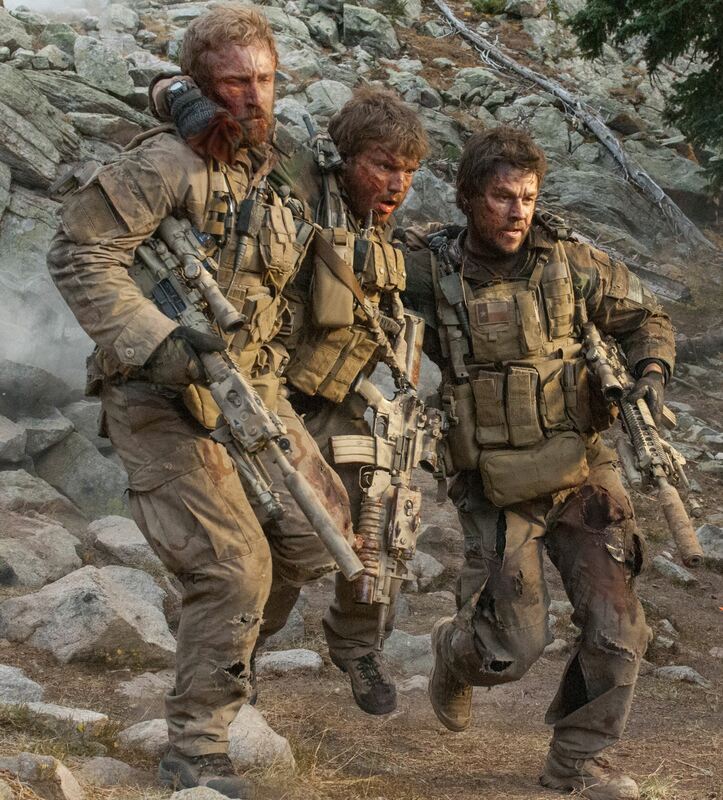 The action/adventure/war movie Lone Survivor, written and directed by Peter Berg (who seems desperate to make Taylor Kitsch, who he has directed before in Friday Night Lights and Battleship—at least we can’t blame him for John Carter of Mars, into a star for some reason), is a film of ironies. It’s a celebration, even an exaltation, of the abilities of the elite fighting team Navy Seals; yet the mission dramatized here is a failure, and not just a failure, but a spectacular one at that. It’s a movie that emphasizes the day to day details and procedural-like realism of war as it is being waged today; yet the deaths are filmed heroic, mythical, epic even, shot in stylized and loving slow motion. It’s a movie that at first glance seems to be a Howard Hawksian study of men participating in a life or death situation as a way of life, but with character studies that are too minimalist for that. Yet it’s this minimalism that also gives the story some of its power. It’s a movie filled with top named actors, yet it’s the sound effects and stunt men who are the real stars. It’s a movie that takes place during one of the most political divisive of U.S. wars, yet the story has almost no political context at all and seems to take place in an every war atmosphere. Lone Survivor is a movie that establishes its goals early on (from the previews actually) and goes after them with the ruthless intensity of a rabid dog that won’t let go. The technical aspects, from the sound to the editing to the cinematography to the sets and costumes, are first rate. The acting is strong (the aforereferenced Kitsch, Mark Wahlberg, Emile Hirsch, Ben Foster, who are all rather good, especially that Foster dude). It’s a movie that cannot really be faulted. At the same time, it’s a movie that takes a true story of tragic proportions and reduces it to little more than an extremely well made hyperrealist popcorn piece of entertainment. Which may or may not be your cup of tea. There is something about folk music that reaches down deep into our souls and really reveals, even revels in, the pain and suffering of what it means to be human, as well as exalts in the joy that one sometimes finds in life as well. It’s a music that reminds us that we, as human beings, never essentially change—that what we were in the beginning, we are now and always shall be. And it’s a type of music that can fill in for us when we can’t express clearly our own feelings. Two movies in 2014 used folk music as a way of deepening their exploration of their heroes, the Coen Brothers’ Inside Llewyn Davis, with a central character who can only communicate his real feelings when he’s singing, and now The Broken Circle Breakdown, Belgium’s entry in the foreign language film category for the Academy Awards. The Broken Circle… revolves around Didier, an atheist who plays and sings lead in a blue grass/folk band (whose big number is, ironically, the spiritually inclined Will The Circle Be Unbroken), and his love for Elise, a young woman who believes in an afterlife and who becomes his partner in life and his partner in music. And they do make beautiful music together, both on and off stage. There is something tremendously exciting when they are both singing their songs of profound emotional resonance in front of a crowd. And there is something equally exciting about their simple love for one another. And out of this union of both music and love they create a child, Maybelle, a bright and lovely little girl. The performances by Johan Heldenbergh as Didier (who also co-wrote the play the movie is based on, along with Mieke Dobbels) and Veerle Baetens as Elise, are deeply empathetic portraits of parents who have something happen to them that no parents should have to experience. Nell Cattrysse as their little girl gives a touching performance. The screenplay by Carl Joos, Charlotte Vandermeersch and the director Felix Van Groeningen, does whatever it can to eschew sentimentality. And Van Groeningen’s swirling direction of the camera never lets us sit still for long. Their movie paints a rich portrait of two people living a bohemian life of music. And when the screenplay itself no longer feels it can adequately share the emotions of the moment, the characters break into song, allowing the movie to express what mere language can’t always share. And it has music that is so strong in emotion that it points up the one flaw of the movie. Didier and Elise have arguments of anguish and guilt, accusing the other of complicity in what happens to Maybelle until Didier has a breakdown on stage. It’s not that the arguments don’t ring true. They are ridiculous and over the top. But we’ve all heard arguments like these before, where people are fighting over something that they are not really fighting about. But these scenes also fall flat. They are never quite as believable as the rest of the movie. They are a bit predictable and even clichéd. They can never quite come up to the emotional heights of the music. And they are somewhat of a letdown. And yet, in spite of that, The Broken Circle… is emotionally devastating, a heartbreak of a movie that leaves you speechless when it’s over.